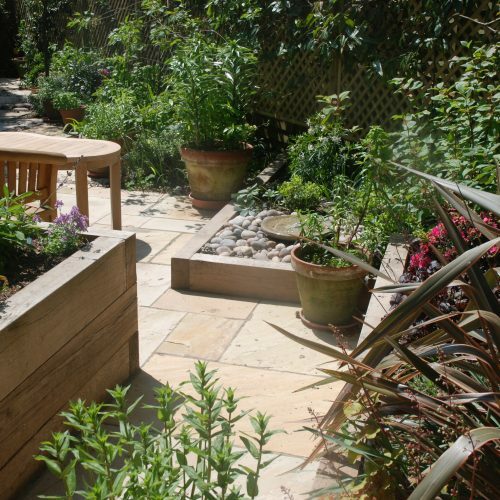 “We contacted Florus Garden Design as a result of perusing their excellent website and being impressed by both their design capabilities and choice of planting shown in their before and after photographs. The two ladies quickly responded to our enquiries with a site visit and meeting to determine our requirements. 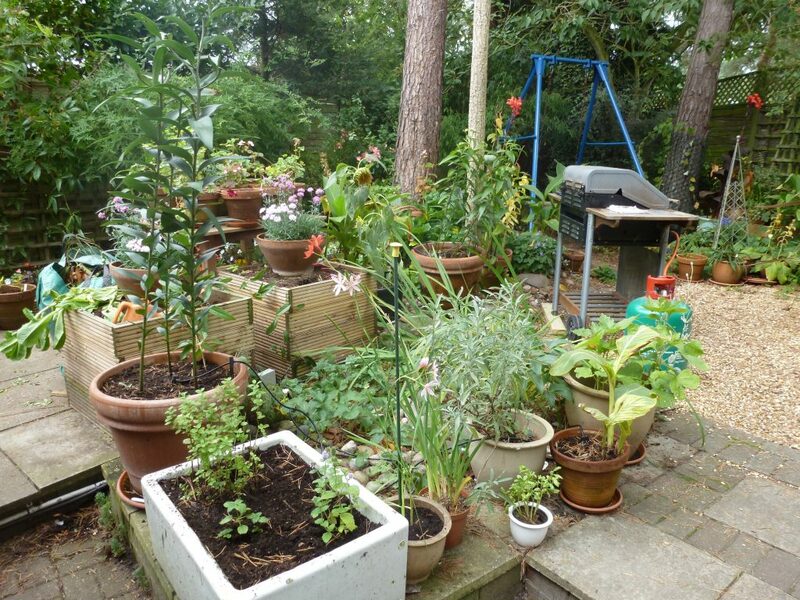 We wanted them to create a more manageable garden as we headed into retirement. 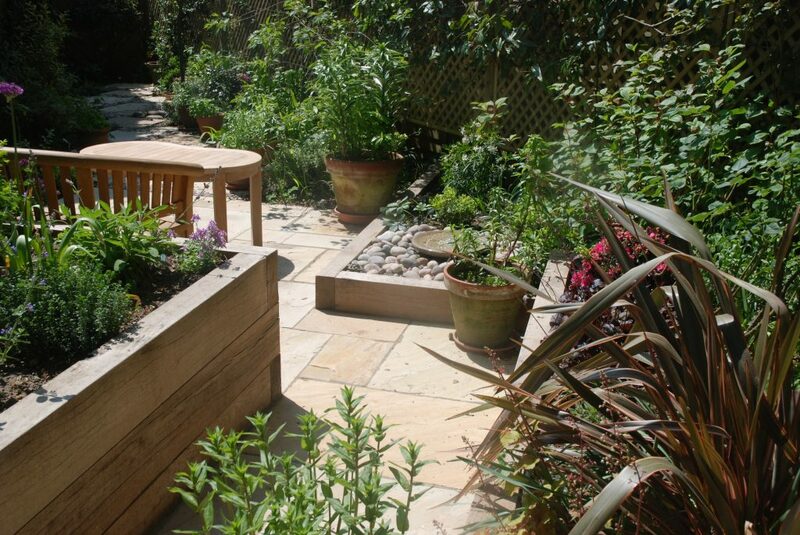 They clearly explained the process and came back to us with four alternatives for a complete revamp of our back garden. We have seven pine-tree preservation orders in place, which also had to be taken into consideration, along with our adult daughter’s industrial sized swing. The four plans were ‘cherry-picked’ for the features we preferred and a final design agreed. Florus also undertook to contact three landscape contractors for quotations for the hard landscaping. They also supervised this work. 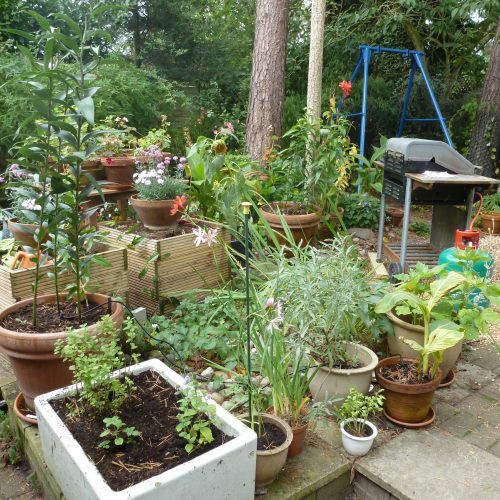 The planting schemes were thoroughly discussed with much input from us [apparently unusual!]. Their choice of varieties and combination of shrubs and perennials was extremely well executed. As a result we have raised beds as well as ground level ones with some planting at its best whatever the season. After one year, the garden is changing and maturing, despite the horrendous weather of last year, and is looking better than ever. The ladies also re-jigged the design of the front garden and made suggestions for the side garden, with the result that complementary planting flows throughout. Please note our landline has been replaced by an additional mobile number.